A couple of weeks ago I hosted a brunch for my family to celebrate my great aunts 90th birthday. I am terrible at judging quantity of food, especially when feeding a crowd, so I ended up buying way too many strawberries for the fruit salad. 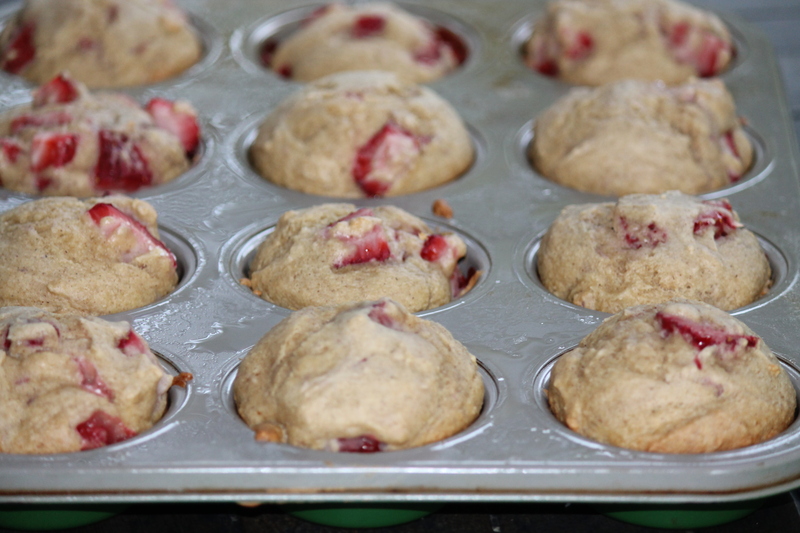 I absolutely can’t stand to see food go to waste so the next morning I decided to bake strawberry muffins before Scottie woke up. Yes, I made muffins, shocking I know. 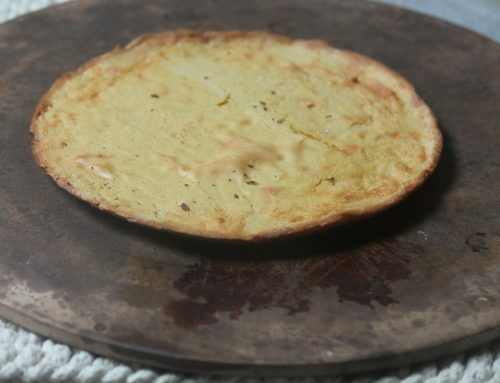 I found this recipe from Sally’s Baking Addition. Since I had so many strawberries to use up I doubled the recipe so I could freeze some to pull out at a later date. The original recipe called for chocolate chips but I chose to leave them out. 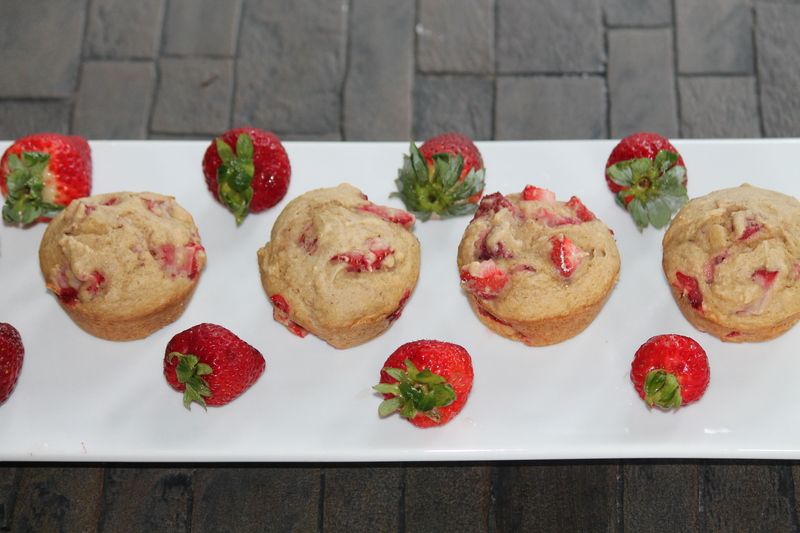 Even without the chocolate these strawberry muffins are perfectly sweet. They taste like a strawberry shortcake with warm juicy strawberries in every bite. 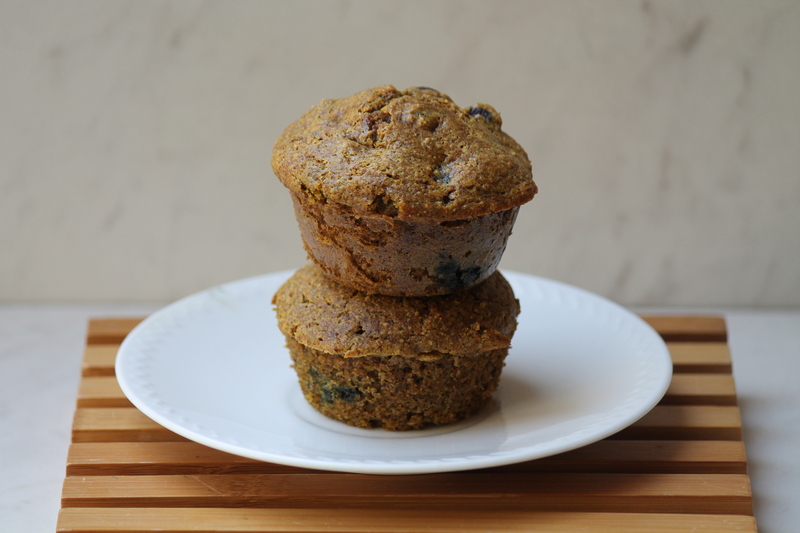 If you are looking for a healthy indulgence, whether it be for breakfast or a snack, I highly recommend giving these muffins a try. 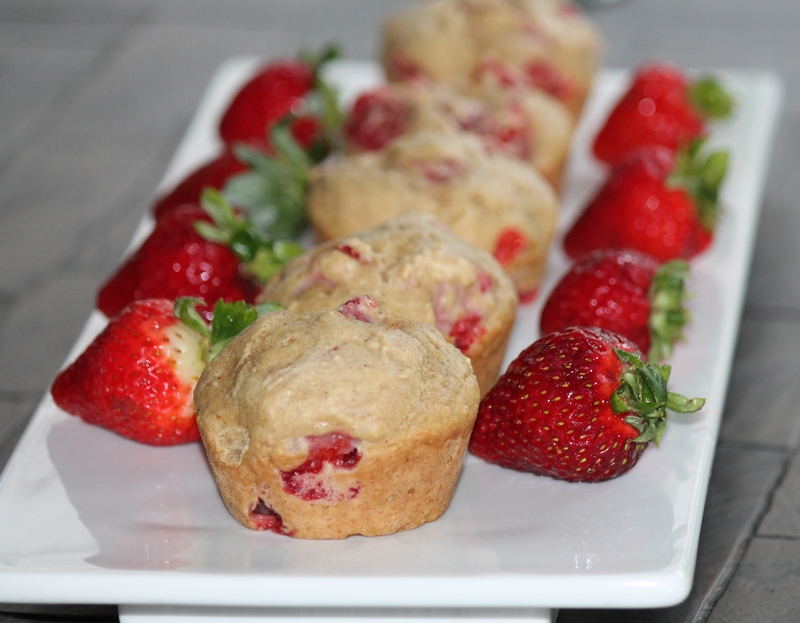 They are light and fluffy, full of fresh strawberries and come in at just under 115 calories each. Preheat oven to 350 degrees. Spray a muffin pan with nonstick cooking spray. Set aside. 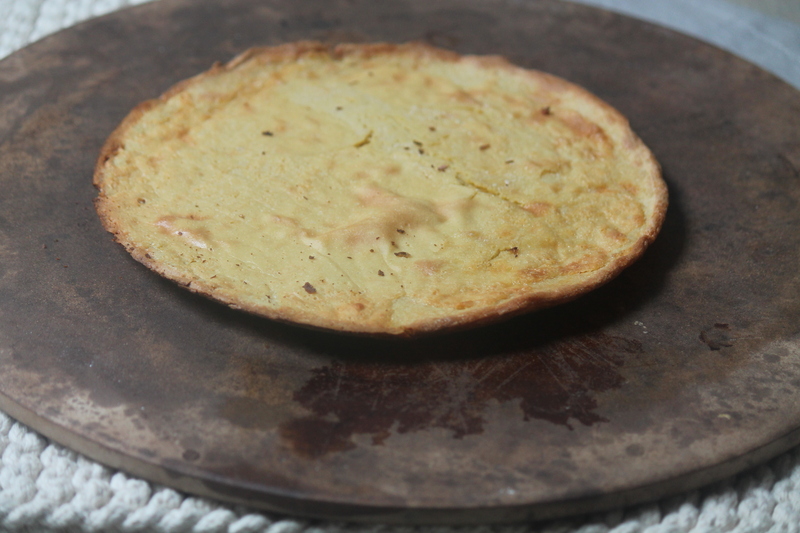 In a large bowl, mix together flour, baking soda, and cinnamon. Set aside. In a separate bowl, mix brown sugar, granulated sugar, and applesauce together until no lumps remain. Add in the beaten egg whites, mixing well. Add the wet ingredients to the dry until combined; do not overmix. Fold in the strawberries. 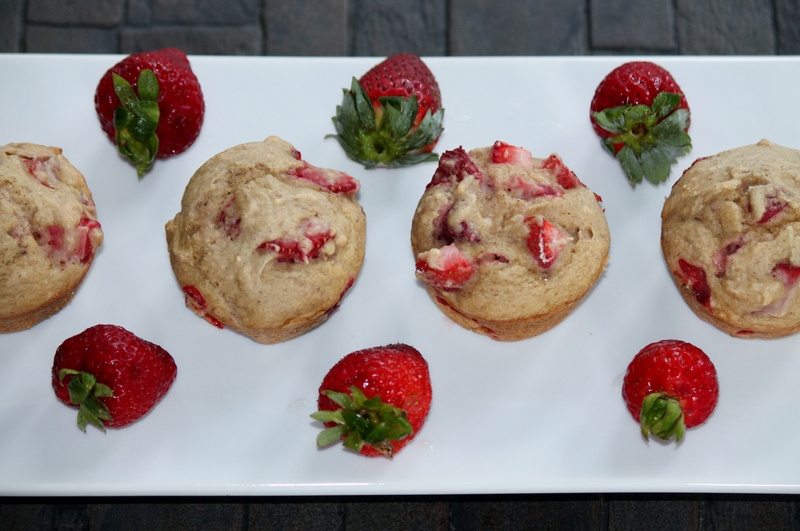 Divide batter evenly among the muffin cups. 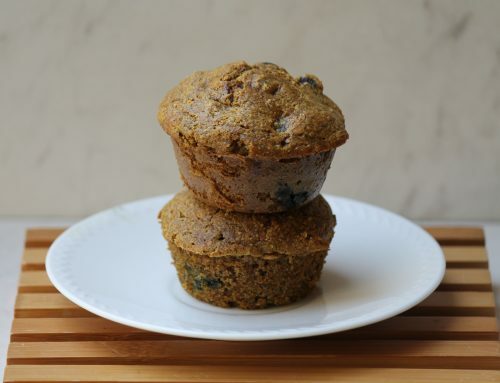 Bake for 15-18 minutes in a 350 degree oven until a toothpick inserted in the middle of the muffin comes out clean. 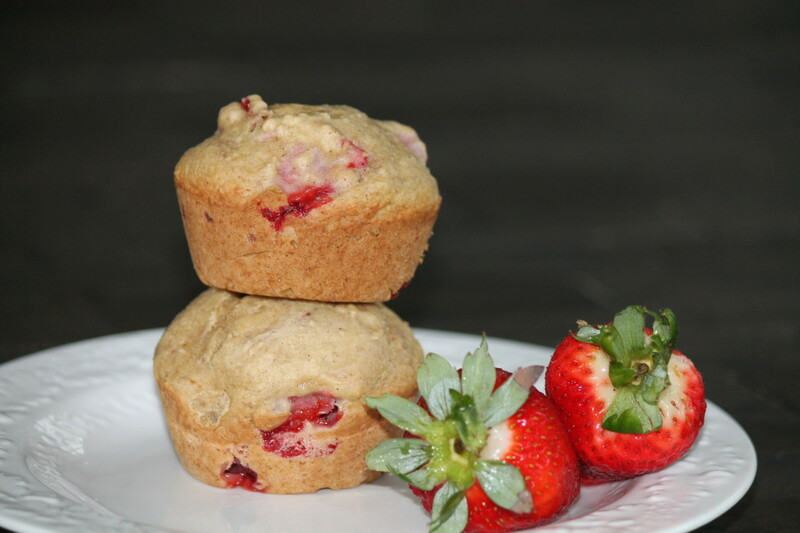 Store muffins in a sealed container. They may also be frozen. I’m going to make these!! They look great & I know Emmy will love them! These look so pretty & cute! Easy too!